According to the CDC’s most recent data, a whopping 93.3 million adults in the US (39.8 percent) are obese. Unfortunately, the prevalence of adult obesity in the US only seems to be setting a bad example for our children, as 18.5 percent, aged 2 to 19, also suffer from obesity. Unfortunately, obesity is associated with various diseases and damage to the body, including type 2 diabetes, high blood pressure, and sleep apnea. The good news is that thousands of people are waking up to the reality of an obese America, and actually want to make healthier choices concerning their diet. The bad news is that not everybody knows how to. Worse still, some feel that they just can’t afford to — usually disregarding that medical bills from unhealthy eating could cost much more in the future. Nevertheless, there are ways to eat healthy on a budget. As long as you educate yourself and adhere to a set of rules, such as seeking out the best deals and setting aside time for meal prep, you’ll find it isn’t as hard or expensive as you might think. Why Worry About Eating Healthy? Maybe you’re not obese, and maybe your children aren’t either — but that doesn’t meant that you shouldn’t pick up healthy eating habits! The benefits of a healthy diet are many and extend beyond just weight loss. Not only does what you eat affect your mood, but as it turns out it might also affect how productive you are. Last but not least, some studies have actually shown that eating healthy foods might actually make you live longer. There’s something to be said for living longer while also feeling great — not only extension of life, but extended quality of life too. So where does one begin when it comes to eating healthier, especially on a budget? Perhaps the hardest part of eating healthy is taking the time to plan and prepare food. 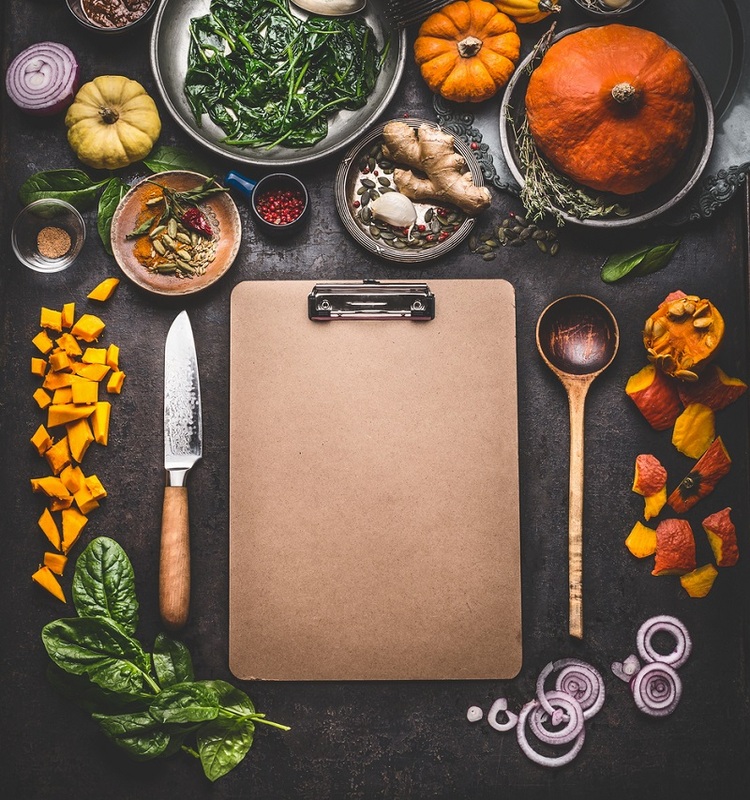 This is one of the biggest reasons why people have begun to gravitate toward the prepared meals trend, where companies balance and put together a meal plan and send ready-to-cook dishes straight to your doorstep. Unfortunately, meals prepared by a third party tend to cost a little extra. The first rule of planning weekly meals on a budget is to figure out what you want, as well as what you already have. Plan to eat food you already have. It’s easy to buy food and forget that it’s there — so check your cabinets, the back of your fridge, and your freezer to figure out what you already have. Include those items in your meals for the upcoming week. Create a recipe list. Think about a couple of meals that you’re either interested in trying or are already in love with that you’d like to eat over the next week. List the recipes out — we’ll add the components to our shopping list later. Schedule time to cook. Remember that you have to actually prepare your food after you bring it back home! Keeping this in mind, choose recipes that are easy to prepare for days that you know you’ll be busy, and prepare more complex recipes on your day off. Prepare to have leftovers. One way to cut down on preparation time quite a bit is to prepare a bit extra and eat the leftovers the next day. For example, you might cook a little extra on Monday and Wednesdays and rely on leftovers on Tuesday and Thursday. The good ol’ food pyramid — it reminds us that we need to eat our fruits, vegetables, and grains, and that we need to limit our intake of sugars and fats. Each of these food groups has its own advantages, each contributing in its own way to a well-balanced diet. Natural foods like fruits and vegetables can be found fresh in the produce section and usually in the frozen foods section as well. You’ll be hard pressed to find food that is truly that much healthier than fruits and veggies. It’s important to remember that canned and frozen fruits, especially ones that are “low-sodium” and refrain from adding sauces or butter, are just as good for you as fresh ones, and often times are cheaper. Not only that, they’ll last longer! Breads, pastas, brown rice, and oatmeal are all examples of grain-based foods. These foods are high in carbohydrates and will keep you energized throughout the day. Not only that, but the Mayo Clinic states that eating a diet that includes whole grains actually reduces the risk of heart disease. It’s important that you don’t simply pick any type of bread or grain — whole grains are healthier and generally take longer to metabolize than empty carbohydrates like you find in popular breakfast cereals or snacks. This is a great area for you to find substitutes for snacks, such as popcorn or whole-wheat crackers. Not only will your body thank you for the healthy switch, your pocketbook will as well. You can find proteins all throughout the supermarket, whether that be cold cuts from the deli or even frozen foods section, canned beans and meats, or even jerky from the snack section. If you’re looking to keep costs low, kidney beans, peas, and lentils are excellent choices for protein as well as side dishes, at only a fraction of the cost. Other cost-saving tips include buying family-sized and value packs that you can freeze later, as well as buying canned or frozen seafood. Eggs are also a great, low-cost solution for protein. To keep your choices as healthy as possible, try to select lean meats like chicken, turkey, or at least 93 percent lean ground beef. Last but not least, your essential dairy needs include yogurts, cheeses, including cottage cheese, and milk. With each of these options, you can keep caloric intake low by choosing low-fat or fat-free options. Oftentimes these choices will contain just as much calcium and other nutrients without as many calories. Finally, make sure you’re always checking the “sell by” date so that whatever you’re eating lasts. Food that goes bad in the fridge is essentially money that you’ve thrown in the garbage. 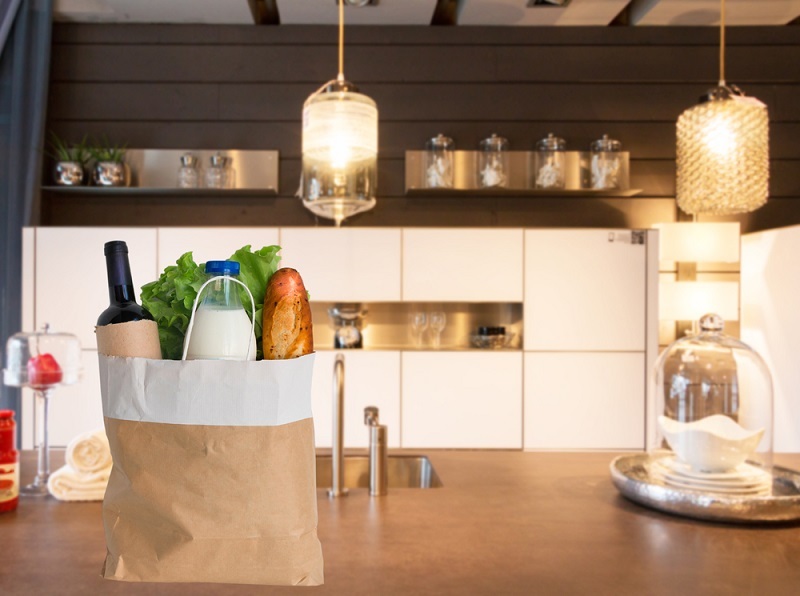 Now that you know what types of food you need, it’s time to not only make a list, but also to begin searching for the best deals. Doing both at the same time can let you know what you need to get as well as where you need to get it. While Garcia’s advice is sound, it’s also important to remember that time and money spent driving around can deduct from your bottom line. Make sure that you’re optimizing your routes and your drive time to save the most with this strategy. Last but not least, when it comes to looking for deals and saving money, use coupons and learn to understand price tags and unit price. One tip for making healthy eating at home more manageable is to meal prep as much as you can at the beginning of the week, including recording macronutrients, if that’s your thing. Keeping your kitchen organized. If you have items that you use often, make sure you know where they are, and that they’re clean. Cleaning as you go. By cleaning your tools as you use them, you save yourself tons of time, and won’t have to clean a giant stack of dishes when you’re done. Cook double. Doubling up your recipe will allow you to freeze half for later, and will cut your cooking time by just as much. Record calories and macronutrients at the beginning of the week. Some people prefer to record calories day by day — however, recording your large recipe items at the beginning of the week will save time, and still allow you to modify and add to your diet later on. Use a crock-pot/slow-cooker. These tools allow you to throw a bunch of ingredients into a pot and cook it all day. Great for those on-the-go. Eat a healthy snack before dinner. Something like a piece of fruit or vegetable high in fiber just 30 minutes before dinner can reduce hunger and cravings, keeping you from unhealthy or gluttonous orders. Order smaller portions. You can both save money and eat healthier by simply ordering smaller portions when you eat out. Focus on the taste of your order, and savor it bite by bite. Opt for the to-go box. Many restaurants serve extremely large portions — why not stretch dinner into lunch tomorrow? Save some of your leftovers, and save some money too. Everybody deserves to eat well, and everybody can with the right knowledge and work. Extend your life and your health, and save a little bit of money doing it; make the nutritious choice today.